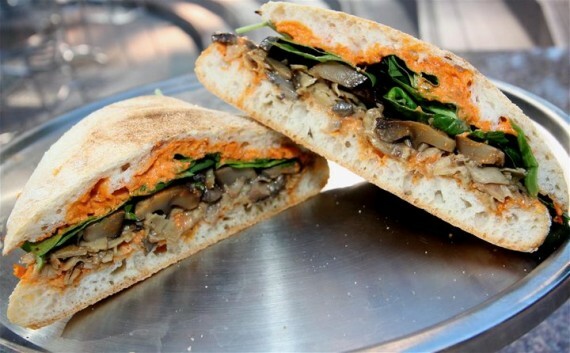 quarrygirl.com » Blog Archive » new vegan sandwich being tested at mendocino farms on friday! EAT IT! Yum! I didn’t know they had a location in Marina del Rey. This is close to where my wife works, I’ll check it out the next time I pick her up. I’ve wanted to try Mendocino farms for a long time, but unless they want to expand their DTLA operating days to the weekend, it’s highly unlikely I’ll ever eat there. FYI, ya’ll… if you place an order for pickup, BE SURE TO MAKE SURE THEY GAVE YOU WHAT YOU ORDERED BEFORE YOU LEAVE! I love Mendocino Farms when they get it right, but twice, I’ve called in an order for a vegan sandwich or wrap, picked it up, taken it home and opened it up to find myself confronted with a bunch of meat and cheese. Again, I love them when they get it right, but since this has happened to me twice, I always check it before I leave! ate the sloppy joe as a salad today. incredibly delicious- thanks for the heads up as always! I just had the sandwich today, and it is DELICIOUS!!!! Oh, I so hope they make it a regular!